The implementation of whole-genome sequencing (WGS) as a clinical test has been a source of speculation, anticipation, and anecdotes for many years. The first clinical (CLIA-certified, CAP-accredited) laboratory to offer this test launched the service in 2009, and despite several significant challenges that still surround the offering and use of WGS for clinical applications, it has largely been embraced by an enthusiastic community of physicians and clinical laboratorians. In this chapter, we discuss the many considerations, caveats, challenges, and opportunities that must be addressed when implementing clinical WGS. Approaches to this implementation are also discussed. The chapter is organized into sections on test definition, staffing and training, infrastructure, validations, and interpretation and reporting considerations. Clinical Laboratory Standards Institute (CLSI). Multiple standards publications relating to laboratory process and sequencing. http://www.clsi.org/standards/. Vassy JL, Christensen KD, Schonman EF, et al. 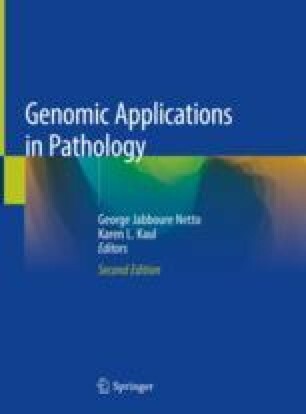 The impact of whole-genome sequencing on the primary care and outcomes of healthy adult patients. Ann Intern Med. 2017:1–12. https://doi.org/10.7326/M17-0188. Online Mendelian Inheritance in Man, OMIM®. Baltimore, MD: McKusick-Nathans Institute of Genetic Medicine, Johns Hopkins University; 2013. http://omim.org/. Riggs ER, Wain KE, Riethmaier D, et al. Towards a Universal Clinical Genomics Database: The 2012 International Standards for Cytogenomic Arrays (ISCA) Consortium Meeting. Human mutation. 2013;34(6):915-919. https://doi.org/10.1002/humu.22306.